Total hip replacement (THR) is an elective surgical procedure with the primary indication being pain relief. The aim of this study is to analyze gait dynamics for patients after they underwent a unilateral THR surgery and compare it with normal parameters. To investigate the gait dynamics a gait analysis was performed on five patients after they underwent a unilateral THR surgery; only two of them were examined before the surgery. The gait analysis was performed using a digital video camera with two force plates. Kinematics data were obtained from 2D trajectories of seven passive markers using SkillSpector software. MATLAB software has been used for inverse dynamics computation. General gait parameters, Harris Hip Score, joints’ angles, forces, moments and powers were obtained during gait cycle. It was found that the average of improvement in Harris Hip Score (for four patients who were examined 1.5, 2.5, 3 and 9 months after surgery) is 61.8 points, which is an indication of pain relief. In the other hand, the general gait parameters were found slightly lower than normal after THR surgery. The average hip reaction force was found to be 2.988 N/BW, which is within normal range. Also, the average of maximum hip extension and maximum hip flexion angles were found to be 25.69 and -13.524 degree respectively, which both are within normal ranges. Furthermore, hip, knee and ankle moments and powers results showed some abnormality. Therefore as a conclusion, patient satisfaction and functional improvement are not related to general gait parameter. And it is not unusual that gait mechanics improvement would not reach normal after months of recovery. Also, the results of gait dynamics which are from the engineer’s perspective are compatible with Harris Hip Score, which is from the physician’s perspective, in quantifying surgical results and subsequent recovery progress.تعد دراسة علم الميكانيك الاحيائي الحركي ماده شامله لتحري اليات العمليه الفسلجيه / العصبيه المعقده التي تسيطر على الأنظمه الحركيه للجسم. يستخدم تحليل حركة المشي لتقييم الحالة قبل اتخاذ القرارات الجراحيه و كذلك لمتابعة التطورات ما بعد الجراحه .ان الغرض من هذه الدراسه هو اجراء التحليل الحركي على المرضى قبل اخضاعهم لعملية تبديل مفصل الورك و مقارنة النتائج مع نتائج التحليل الحركي لاشخاص سليمين. اجري التحليل الحركي على خمسة مرضى يعانون من نخر رأس عظم الفخذ في مفصل الورك بعد ان خضعوا لعملية تبديل مفصل الورك. اثنان منهم فقط خضعوا للتحليل قبل العمليه. اجريت تجارب المشي باستخدام التحليل الحركي الثنائي الابعاد بواسطة كاميرا فيديو رقميه (Sony ) و منصتين لقياس القوه نوع (AMTI). تم الحصول على بيانات الحركه الكينماتيكيه من برنامج (Skilspector). تم استخدام برنامج (MATLAB) لغرض حساب معادلات الديناميك المعكوس . تم الحصول على الكتله و مركز الكتله لكل قطعه من بيانات anthropometry . تم الحصول على قوة رد الفعل و العزم و القدره لمفاصل الورك و الركبه و الكاحل للجهه المصابه خلال التحليل الحركي للمشي. اثبتت الدراسات التي اجريت على المرضى الذين تم فحصهم بعد 1.5 شهر و 2.5 شهر و 3 اشهرو 9 اشهر ان كل من مقياس هاريس لتقييم مفصل الورك و قوة رد الفعل لمفصل الورك و اقصى امتداد لمفصل الورك و اقصى ثني لمفصل الركبه ضمن القيم الطبيعيه. في الجانب الاخر فان كل من العزم و القدره لم تعد الى القيم الطبيعيه للمرضى المذكورين اعلاه. اكبر معدل للتحسن بالمشي للمرضى يحدث في الاشهر الثلاث الاولى مع تطور بسيط بعد ذلك. Total Hip Replacement --- Gait cycle --- Gait dynamics --- Force platform --- Harris Hip Score --- General Gait Parameter. The control of quenching process has been investigated in this study by developing a quench system design to simulate the quenching process and measure the time – temperature history inside the sample during the cooling stage. The main purpose of this quench system is to evaluate the quench power of different quenchant at different conditions (type, temperature and agitation). A stainless steel sample was used with a suitable measurement as a probe in designing this quench system. The performance of two of quenchants (water and brine) with different conditions was investigated, and the designed probe was used to illustrate the effect of quenching parameters (quenchant type, temperature and its agitation) on cooling curves and cooling rate.The quenching system has proven its ability to work effectively and the results showed that heat transfer properties were significantly affected by quenchant parameters. في هذه الدراسة قد تمت السيطرة على عملية التقسية من خلال تطوير نظام تقسية مصمم لمحاكاة عملية التقسية وقياس توزيع الوقت درجة الحرارة خلال الزمن داخل العينة خلال مرحلة التبريد. ان الغرض الرئيسي من نظام التقسية المصمم هذا هو حساب قوة التقسية لمختلف سوائل التبريد في ظروف تقسية مختلفة (نوع ودرجة الحرارة والتحريك). تم استخدام الفولاذ المقاوم للصدأ لصنع العينة المستخدمة مع ابعاد مناسبة كمتحسس في تصميم نظام التقسية هذا . تم دراسة أداء اثنين من سوائل التبريد (الماء والمحلول الملحي) في ظروف متفاوتة، وتم استخدام المتحسس المصمم لتوضيح تأثير متغيرات التبريد (نوع سائل البريد ودرجة حرارته وتحريكه) على منحنيات التبريد ومعدل التبريد. .نظام التبريد اثبت قدرته على العمل بفعالية واظهرت النتائج ان خصائص نقل الحرارة تأثرت الى حد كبير بمتغيرات التبريد. In this study the friction stir lap welding was carried out by a new technique (diffusion bonding phenomenon) between (AA1100 and low carbon steel C10 sheets of 3mm and 1mm thickness respectively. These alloys have difference ranges in melting temperature and other physical properties. Different parameters were used: tool rotation speeds (630, 1250) rpm, travel speeds (80, 32) mm/min. and pin length (2.8,3) mm using cylindrical threaded pin. Many tests and inspections were performed such as tensile shear test and X-Ray diffraction tests. Microhardness and microstructure observations were conducted by using optical and SEM. The above tests were used to evaluate the weld quality and joint efficiency under different welding parameters. Best result for FSLW by diffusion phenomenon appear in (low carbon steelC10 / AA1100-H112) joint at 1250rpm in 32 mm/min. with 2.8mm pin length and the maximum tensile shear strength was (3.9)KN.It was found that the highest micro hardness was (138HV) at the interface between the low carbon steel and AA1100. There are many patients who face a lot of things that hurt the knee joint. Knee replacement is the best solution to these problems. This research was based on reducing the vibrations of daily activities as measured by the frequency of foot and knee for the patient for three cases when the bare foot, sports shoes with ground air and sports shoes with ground air with silicon damping. Patient information for this work was of age, weight, height and leg length 48 years, 90 kg, 160 cm, 84 cm, respectively. The results was shown that the decline in acceleration results was in the case of sport shoes with ground air with silicon damping with 22.57%, while the decline in vibration results was in the case of sports shoes with ground air with -54.9%. هناك العديد من المرضى الذين يواجهون الكثير من الأشياء التي تؤذي مفصل الركبة. استبدال الركبة هو الحل الأفضل لهذه المشاكل. استند هذا البحث إلى تقليل الاهتزازات في الأنشطة اليومية حسب قياس وتيرة القدم والركبة للمريض لحالتين عند القدم العارية وفي حالة الأحذية الرياضية مع الهواء الأرضي. معلومات المريض لهذا العمل هي من العمر والوزن والطول وطول الساق 48 سنة ، 90 كجم ، 160 سم ، 84 سم ، على التوالي. وجد أن الانخفاض في نتائج التسارع كان في حالة الأحذية الرياضية مع الهواء الأرضي مع التخميد السليكوني بنسبة 22.57٪ ، في حين كان الانخفاض في نتائج الاهتزاز في حالة الأحذية الرياضية مع الهواء الرياضي مع -54,9%. Pressure vessels are the heart of plants and oil refineries stations. In many engineering applications such vessels can be subjected to periodic loading either internally due to the charging and discharging process or externally due to the excitation from other nearby components such as pumps, compressors or from seismic. So that in spite of a good design according static assumption it may be critical in dynamics. In this work a horizontal pressure vessel with accessories subjected to liquefied petroleum gas pressure LPG is considered. Three models of different head types are investigated herein namely; Deep torispherical, Elliptical 2:1 and Hemispherical. The design and material selections are chosen as per ASME. For practical service many accessories are attached to the vessel such as manhole, supports, inlet and outlet opining. Finite Element method via ANSYS R18.2 is introduced for the numerical analysis. The fatigue life in case of fully reversed cyclic loading are estimated and located. Vibration characteristics such as mode shapes and natural frequencies for the lowest five modes are evaluated and compared. It is found that the fatigue life can be increased as higher as 180% for hemi- spherical head as compared with deep torispherical head pressure vessel and the lowest four natural frequencies are nearly identical for all models, however significant change observed in the fifth natural frequency.تمثل اوعية الضغط الجزء الرئيسي في المحطات ومحطات تكرير النفط وفي اغلب التطبيقات الهندسية تكون هذه الاوعية او الخزانات معرضة الى احمال دورية متكررة اما بسبب داخلي وهو عملية التفريغ والملئ او خارجي بسبب تحفيز او اثاره بسبب مكونات قريبة عليها مثل المضخات والمكابس او التي تنشأ تسبب اهتزازات. تم في هذا البحث تحليل خزان افقي مع ملحقاته مثل المانهول وفتحة الدخول والخروج ومعرض الى ضغط الغاز المسال. تم اختبار ثلاثة نماذج لنهايات مختلفة (محدبة وبيضاوي ونصف كروي)، التصميم واختيار المواد تم وفق كود ASME. تم استخدام طريقة العناصر المحددة باستخدام برنامج الانسس 18 للتحليل العددي لتحديد عمر الكلال في حالة التحميل الدوري المعكوس الكامل وتحديد موقعه. وكذلك دراسة خصائص الاهتزاز مثل أشكال الطور و الترددات الطبيعية وذلك لأدنى خمس ترددات ، وقد وجد أن عمر الاجهاد او الكلال يمكن زيادته إلى أعلى من 180٪ للرأس او النهاية الكروية مقارنةً برأس او النهاية تكوربيني المحدبة العميقة وان الترددات الطبيعية لغاية الرابعه تكون متطابقة تقريبًا لجميع النماذج ، ومع ذلك فقد لوحظ اختلافات واضحة في التردد الطبيعي الخامس. In this work, the control of Translational Oscillations with a Rotational Actuator (TORA) system is presented in this paper. The optimal sliding mode controller is proposed to control the two DOF underactuated mechanical system. The nonlinear coupling from the rotational to the translational motion is the main problem that faces the controller design. The H2 sliding mode controller is designed to give a better performance if only sliding mode control is used. The results illustrate that the proposed H2 sliding mode controller can achieve the stabilization of the system with the variation in system parameters and disturbance.في هذا البحث تم اقتراح مسيطر النمط الانزلاقي الامثل للسيطرة على منظومة TORA والتي تعتبر منظومة ثنائية درجة الحرية ومنظومة تحت التحكم. ويعتبر التداخل اللاخطي الموجود في هذه المنظومة واحدا من اهم المشاكل التي تواجه المسيطر المصمم.ولغرض تحسين اكثر لاداء المسيطر الانزلاقي النمط تم دمجه مع المسيطر H2 ليعطي مواصفات اداء للمنظومة افضل مما لو تم استخدام المسيطر انزلاقي النمط فقط. النتائج المستحصلة تبين كفاءة وقوة المسيطر المقترح في توفير الاستقرارية بوجود التغييرات المحتملة في معاملات المنظومة وبوجود المعوقات. TORA System --- Robust Control --- Sliding Mode Control --- H2 Statefeedback --- Optimal Control. Liquid nitrate is an important method used to improve mechanical properties, one of these properties is resistance to fatigue. The aim of this study was to improve the fatigue resistance of the stainless steel 316L. The rotational bending method was used with constant and variable stresses at different times of (1, 3, 5) hours and at (530, 630) oC. These tests were performed before and after nitration. The results showed that the depth of the nitride layer was (0.21, 0.33, 0.45) mm, increasing with time nitriding when the temperature was 530 oC. While the depth of this layer at a temperature of 630 oC (0.26, 0.39, 0.5) mm with increasing time. As a result of these processes, a layer of solid chromium nitrides and other phases of iron nitride were formed on the outer surface. These layers helped to inhibit the growth of the cracks and their progress in addition to the generation of pressure stresses on the surface leading to obstructing the progress of the cracks. This study showed that the fatigue resistance was directly proportional to the increase in nitrate time due to the increased depth of the hardened layer, but this resistance decreased when the temperature was 630 oC due to the formation of brittle phase with low resistance.ان طريقة النتردة السائلة هي من الطرق المهمة والمستخدمة في تحسين الخواص الميكانيكية ومن هذه الخواص مقاومة الكلل. الهدف من هذا البحث هو تحسين مقاومة الكلال للفولاذ المقاوم للصدا الاوستنايتي 316L، تم استخدام طريقة الانحناء الدوراني مع تسليط اجهادات ثابتة ومتغيرة وباوقات مختلفة وهي 5,3,1 ساعة وعند درجات حرارة 630,530 درجة مئوية وقد اجريت هذه الاختبارات قبل وبعد عملية النتردة. بينت النتائج ان عمق الطبقة المصلدة كانت 0.45,0.33,0.21 ملم تصاعديا مع الزمن عندما كانت درجة الحرارة 530 درجة مئوية. بينما بلغ عمق هذه الطبقة عند درجة حرارة 630 درجة مئوية 0.5,0.39,0.26 ملم مع زيادة الزمن, ونتيجة لهذه العمليات تكونت على السطح الخارجي طبقة من نتريدات الكروم الصلدة واطوار اخرى من نتريد الحديد وقد ساعدت هذه الطبقات على اعاقة نمو الشقوق وتقدمها اضافة الى توليد اجهادات ضغط على السطح تؤدي الى عرقلة تقدم الشقوق. تبين من هذه الدراسة ان مقاومة الكلل تتناسب طرديا مع زيادة زمن عملية النتردة بسبب زيادة عمق الطبقة المصلدة, لكن هذه المقاومة انخفضت عندما كانت درجة الحرارة 630 درجة مئوية بسبب تكون اطوار هشة ذات مقاومة ضعيفة. تعتبر طريقة النتردة السائلة هي من الطرق المستخدمة في تحسين الخواص الميكانيكية خلال الدراسة تم تحسين مقاومة الكلال والتي هي احدى الخواص الميكانيكية المهمة للفولاذ المقاوم للصدأ الاوستنايتي 316L ,حيث استخدام طريقة الانحناء الدوراني مع تسليط اجهادات ثابتة ومتغيرة وبأوقات مختلفة وهي 5,3,1 ساعة وعند درجات حرارة 630,530 درجة مئوية وقد اجريت هذه الاختبارات قبل وبعد عملية النتردة. من خلال النتائج تبين ان عمق الطبقة المصلدة كانت 0.45,0.33,0.21 ملم تصاعديا مع الزمن عندما كانت درجة الحرارة 530 درجة مئوية. بينما بلغ عمق هذه الطبقة عند درجة حرارة 630 درجة مئوية 0.5,0.39,0.26 ملم مع زيادة الزمن, ونتيجة لهذه العمليات تكونت على السطح الخارجي طبقة من نتريدات الكروم الصلدة واطوار اخرى من نتريد الحديد وقد ساعدت هذه الطبقات على اعاقة نمو الشقوق وتقدمها اضافة الى توليد اجهادات ضغط على السطح تؤدي الى عرقلة تقدم الشقوق. اثبت من خلال هذه الدراسة ان مقاومة الكلل تتناسب طرديا مع زيادة زمن عملية النتردة بسبب زيادة عمق الطبقة المصلدة, لكن هذه المقاومة انخفضت عندما كانت درجة الحرارة 630 درجة مئوية بسبب تكون اطوار هشة ذات مقاومة ضعيفة. Liquid Nitriding --- SS316L --- Fatigue --- Brinell Hardness. SBS --- HMA Mixing And Compaction Temperatures --- HSRV --- Modified Asphalt Mixture. The depleting of the conventional sources of energy and the excess use of HCF components lead to the need for new techniques both for conservation of energy sources for the future and for decreasing the its harmful effects on the environment. This study investigated the adsorption capabilities of activated carbon. The adsorption of methanol on this substance was tested for their application in the adsorption refrigeration system based on solar energy. Adsorption refrigeration system has been designed and manufactured with the energy source being solar energy. Methanol/activated carbon pairs have been used in experiments. The present work focused on the performance of the adsorption refrigeration system considering the temperature attained in the evaporator and the cooled spaced cabinet. The amounts of activated carbon used was (8 kg), while the amount of methanol were (1, 1.25, and 1.5) kg. The experiments were done in different days of the year. The amount of adsorption of methanol (as a result of decreasing the evaporator and cooled spaced temperature) was found to depend on the generator pressure and its increase as the primary generator pressure decreases. The best mass of methanol used was (1 kg) which give the lowest temperature obtained at the evaporative surface was ( 3.4 oC ) at the day ( 4/4/2017 ). The results shown that even in cloudy days there is a benefit from using such a system because the temperature attained is enough to start the adsorption process. The lowest temperature obtained at the evaporative surface was (3.4 oC) at the day (4/4/2017) for methanol mass of (1 kg) at an opening time of the valve between the evaporator and the generator (9:30am). 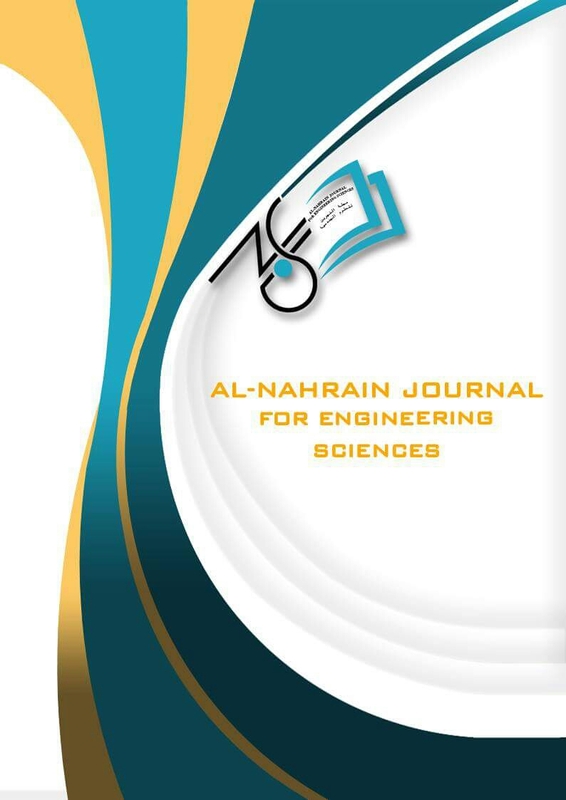 The increase of methanol amount used in the experiment led to a good decrease in temperature attained in cooled spaced, but this is related to the time of connecting the evaporator and generator.ان استنفاد مصادر الطاقة التقليدية والاستخدام المفرط لمركبات الهايدرو-كاربون-فلور كموائع تبريد ولد ولَـضرورة ملحة لاستخدام تقنيات جديدة لاتستخدم الطاقة التقليدية ولاتعتمد على مركبات موائع التبريد شائعة الاستخدام والمؤذية للبيئة .هذه التقنيات تستخدم من اجل المحافظة على مصادر الطاقة التقليدية للاجيال القادمة وكذلك تقليل الاعتماد على موائع التبريد التقليدية لما تسببه من تأثيرات مؤذية للبيئة. تم في هذه الدراسة تصميم وتصنيع منظومة تثليج امتزازية يتم توفير الحرارة اللازمة لعملية الامتزاز بالاعتماد على الطاقة الشمسية التي يوفرها مجمع شمسي مسطح.تم استخدام زوج ( الميثانول – الكاربون المنشط) في عملية اجراء التجارب للمنظومة .ركزت التجارب على دراسة اداء منظومات التثليج الامتزازية بالاعتماد على درجة الحرارة التي يمكن توفيرها في المبخر وفي الحيز المبرد .تم استخدام 8 كغم من الكاربون المنشط فيما كانت كمية الميثانول المستعملة متغيرة لقيم ( 1 ، 1.25 ، 1.5 ) كغم .اجريت التجارب لايام مختلفة على مدار السنة وفي مدينة بغداد .تبين من التجارب ان كمية الميثانول الممتزة اثناء اجراء التجارب ( وبالتالي درجة الحرارة التي يمكن الوصول لها في المبخر أو الحيز المبرد) تعتمد كليا على الضغط الابتدائي للمولد ، وتزداد كمية الميثانول الممتزة مع النقصان في قيمة الضغط الابتدائي وهذا يؤدي بدوره الى تخفيض درجة الحرارة في الحيز المبرد. النتائج بينت ان أفضل كتلة من الميثانول المستخدمة كانت (1 كجم) وقد اعطت ادنى درجة حرارة تم الحصول عليها عند سطح التبخير كانت ( 3.4 درجة مئوية ) في اليوم 4/4/2017، وقد أظهرت النتائج أنه حتى في الأيام الملبدة بالغيوم كانت هناك فائدة من استخدام مثل هذا النظام لأن درجة الحرارة وصلت ما يكفي لبدء عملية الامتزاز. أدنى درجة حرارة تم الحصول عليها عند سطح التبخير كانت (3.4 درجة مئوية) في اليوم (4/4/2017) لكتلة الميثانول (1 كجم) في وقت فتح للصمام بين المبخر والمولد (9:30 صباحاً). من النتائج العملية تبين ان تحسين معامل أداء النظام يتم من خلال الربط المبكر بين المبخر ومجمع الطاقة الشمسية. والذي يتمثل في أدنى درجة حرارة في اليوم( درجة الحرارة الصغرى في اليوم ). Solar --- Adsorption --- Refrigeration --- Methanol --- Activated Carbon. An investigation of performance response of two types of bearings such as Cylindrical Roller Bearing and bush bearing on evaporative cooler driven by DC motor of 1500 r.p.m, through studying many parameters like vibration response, temperature raise, humidity, sound level and total performance. high quality 3D positions X, Y and Z, vibration sensors type (ADXL335 accelerometers) with Arduino mega 2560 that interfaced with Lab-View program were used to measure changes in vibration amplitude and frequency. Two temperature sensors of type (LM35) were used to investigate the temperature raise in the bearings also with Arduino mega 2560 that interfaced with Lab-View program. For humidity a sensor of type DHT22 was used, also, a portable device was used to measure electricity consumption, rotary speed and sound level in the bearings of evaporative cooler. By replacing bearings all the parameters above wear measured then a comparison between them were made to find the best performance and operation of these bearings. The obtained results from the experimental work have clarified and explained by tables and figures. It has been found that the vibration of evaporative cooler in X, Y and Z-directions increased by using two cylindrical roller bearings than using two of bush bearings. The temperature of cylindrical roller bearings increased When running the evaporative cooler more than bush bearings. the noise of Evaporative Cooler by using both types of Bearings was almost same but with a little Reduce by using cylindrical roller Bearings. Which means the Evaporative Cooler has better Performance by using bush bearings than using cylindrical roller bearings.تم مناقشة الاداء لنوعين من أنواع المحامل هي المحمل الاسطواني والمحمل من نوع بوش مستخدمة في جهاز التبريد بتبخير الماء، هذا الجهاز يستخدم محرك ذو سرعة دورانية مقدارها 1500 دورة في الدقيقة و بقدرة مقدارها واحد قدرة حصانيه، من خلال دراسة العديد من المتغيرات مثل الاهتزاز, درجة حرارة المحامل, الضوضاء, تم قياس الاهتزاز في جهاز التبريد بالتبخير باستخدام ثلاثة مستشعرات اهتزاز لها إمكانية قياس الاهتزاز في ثلاث محاور و تم ربطها بالمتحكم الدقيق حيث تم قياس الاهتزاز في ثلاثة نقاط مختلفة في جهاز التبريد بالتبخير وبثلاثة محاور باستخدام اثنان من المحامل الاسطوانية ونوع بوش حيث تم قياس التغير في سعة موجة الاهتزاز والتردد. وتم استخدام اثنان من حساسات قياس درجة الحرارة من نوع (LM35) لمعرفة مقدار التغير في درجات الحرارة وتم استخدام حساس قياس الرطوبة النسبية ودرجة حرارة الغرفة من نوع (DHT22) من اجل معرفة مقدار الرطوبة النسبية ودرجة حرارة الغرفة اثناء قياس درجات حرارة المحامل، وتم استخدام جهاز قياس مستوى الصوت لكل من نوعي المحامل المستخدمة، تم اجراء مقارنة بين النتائج باستخدام المحامل من نوع بوش والمحامل من النوع الاسطواني، النتائج التي تم جمعها من العمل التجريبي تم توضيحها وشرحها في الجداول والاشكال. تم إيجاد بأن اهتزاز جهاز التبريد بالتبخير ازداد في جميع الاتجاهات عند استخدام اثنان من المحامل الاسطوانية بدلا من اثنان من المحامل من نوع بوش، درجات حرارة المحامل من النوع الاسطواني اثناء عمل جهاز التبريد بالتبخير لمدة ثلاثون دقيقة كانت اعلى من درجات حرارة المحامل من نوع بوش في نفس فترة تشغيل جهاز التبريد بالتبخير، انخفضت الضوضاء الناتجة من جهاز التبريد بالتبخير عند استخدام الحامل الاسطوانية عن استخدام المحامل من نوع بوش ولكن بمقدار ضئيل جدا. وهذا يعني ان أداء جهاز التبريد بالتبخير كان أفضل عند استخدام اثنان من المحامل من نوع بوش كان أفضل من أداء جهاز التبريد بالتبخير عند استخدام اثنان من المحامل الاسطوانية. Bearings --- Evaporative Cooler --- Sensors --- المحامل، جهاز التبريد بالتبخير، المستشعرات. This research focuses on studying the importance of quality management system ISO 9001: 2015 and its impact on machinery breakdowns in the general company for the manufacture of wool and carpets in Hama for reducing the machines stops and thus increasing production quantities in the company. We did a field study in the company which a random sample of workers was interviewed in, taking into consideration the characteristics of the categories of workers. We analyzed the data obtained from the workers by using statistical analysis program (SPSS19). The statistical results have shown that there is a strong correlation between the quality management system ISO 9001: 2015 and machinery breakdowns, which necessitates giving greater attention to the ISO 9001 standard by the company's management and seeking ISO 9001 certification to achieve high performance for the company under study. يركز البحث على دراسة أهمية نظام إدارة الجودة ISO 9001: 2015 وتأثيره على أعطال الآلات في الشركة العامة لصناعة الصوف والسجاد في حماة بهدف تقليل توقفات الآلات وبالتالي زيادة كميات الإنتاج في الشركة. حيث قمنا بدراسة ميدانية في الشركة التي تم فيها استبيان عينة عشوائية من العاملين يراعى فيها خصائص فئات العاملين. وقد تم تحليل البيانات التي حصلنا عليها من العاملين باستخدام برنامج التحليل الإحصائي19) SPSS). ولقد أثبتت النتائج الإحصائية أن هناك علاقة ارتباط قوية بين نظام إدارة الجودة ISO 9001:2015 وأعطال الآلات, مما يستوجب منح اهتمام أكبر بالمواصفة العالمية ISO 9001 من قبل إدارة الشركة والسعي للحصول على شهادة ال ISO 9001 للوصول لأداء عالٍ للشركة قيد الدراسة. Quality --- Quality Management System ISO 9001 --- Machinery Breakdowns. The heat exchanger is a device used to transfer heat energy between two fluids, hot and cold. In this work, an output feedback adaptive sliding mode controller is designed to control the temperature of the outlet cold water for plate heat exchanger. The measurement of the outlet cold temperature is the only information required. Hence, a sliding mode differentiator was designed to estimate the time derivative of outlet hot water temperature, which it is needed for constructing a sliding variable. The discontinuous gain value of the sliding mode controller is adapted according to a certain adaptation law. Two constraints which imposed on the volumetric flow rate of outlet cold (control input) were considered within the rules of the proposed adaptation law in this work. These are the control input is a positive quantity, and it limited by a maximum value. The maximum allowable desired outlet cold water has been estimated as function of heat exchanger parameters and maximum control input. The simulation results demonstrate the performance of the proposed adaptive sliding mode control where the outlet cold water was forced to follow desired temperature equal to 〖45〗^o. Additionally, the robustness of the proposed controller was tested for the case where the cold water inlet temperature is not constant, and also for the case of heat exchanger parameters uncertainty. The results were revealed the robustness of the proposed controller. المبادل الحراري هو جهاز يستخدم لنقل الطاقة الحرارية بين سائلين ، حار وبارد. في هذا العمل ، تم تصميم مسيطر متكيف ذو الوضع المنزلق من أجل التحكم في درجة حرارة منفذ الماء البارد للمبادل الحراري للوحة. يتم تكييف قيمة معامل المسيطر ذو الوضع المنزلق وفقًا لقانون تكيف معين ، حيث تكون المعلومات الوحيدة المطلوبة هي قياس درجة الحرارة الباردة للمخرج. تم تصميم مخمن ذو الشكل المنزلق لتقدير مشتقة حرارة الماء البارد الخارجة. تم الأخذ بنظر الإعتبار اثنين من القيود التي فرضت على معدل التدفق الحجمي للمياه الساخنة (مدخلات التحكم) ضمن قواعد قانون التكيف المقترح في هذا العمل. وهي مدخلات التحكم إيجابية فقط ولها قيمة قصوى. لبناء المتغير المنزلق ، فإن درجة حرارة الماء البارد للمخرج ومشتقاته الزمنية تكون مطلوبة. وقد تم تقدير الحد الأقصى المسموح به لمخرج الماء البارد المطلوب كدالة لمعلمات مبادل حراري ومدخل تحكم أقصى. تظهر نتائج المحاكاة أداء المتحكم المقترح حيث تم إجبار مخرج الماء البارد على اتباع درجة الحرارة المطلوبة التي تساوي 45 ℃. بالإضافة إلى ذلك ، تم اختبار متانة وحدة التحكم المقترحة للحالة التي تكون فيها درجة حرارة الماء البارد غير ثابتة ، وكذلك حالة عدم ثبات معملات مبادل الحرارة. وكشفت النتائج عن متانة وحدة التحكم المقترحة. Plate Heat Exchanger --- Adaptive sliding mode control --- Sliding mode differentiator --- لوحة مبادل حراري ، مسيطر متكيف ذو الوضع المنزلق ، مخمن المشتقة ذو الوضع المنزلق.